Many people know and love the Equality House, the rainbow-painted house situated directly across from the Westboro Baptist Church. Soon, however, the Equality House may gain a neighbor, the the Transgender House, intended to celebrate transgender pride year-round. The same nonprofit that created the Equality House, Planting Peace, recently announced a crowdfunding campaign to buy a neighboring house and deck it out in pink, white, and blue — the colors of transgender pride. For those who aren't aware, the Equality House has a simple mission: To counter the actions and rhetoric of the Westboro Baptist Church. In March of 2013, Planting Peace bought the ranch home across the street from the Westboro compound in Topeka, Kan., and proceeded to paint their new building with rainbow colors to represent LGBTQ pride. This was merely the first in what proved to be an ongoing series of actions trolling the Westboro Baptist Church, including fundraising drag shows on the front lawn, hosting the "Gay Olympics," and a beautiful ceremony last year in which beloved fictional wizards Gandalf the White and Albus Dumbledore tied the knot. On a more serious note, the Equality House is painted the colors of the transgender flag once a year in honor of Transgender Day of Remembrance, but with the help of an 8-year-old girl named Avery, Planting Peace intends to establish a permanent Transgender House next door. According to the Daily Dot, Avery visited the Equality House last year when it was painted transgender colors, and she was over the moon at the sight. As she explains in the video, Avery wants to buy the house next door to the Equality House and paint it transgender colors year-round, and on Wednesday, Planting Peace launched a crowdfunding campaign on CrowdRise to do exactly that. In just one day of being active, the campaign has raised more than $3,500 of its $70,000 goal. "The Equality House has always been a positive, iconic landmark for LGBT people to visit," Jackson said on the Transgender House campaign page. "I would love to see a Transgender House embraced the same way — with enthusiasm, love and pride." Needless to say, expanding the Equality House's efforts to include transgender individuals in such an overt way could have a huge impact. 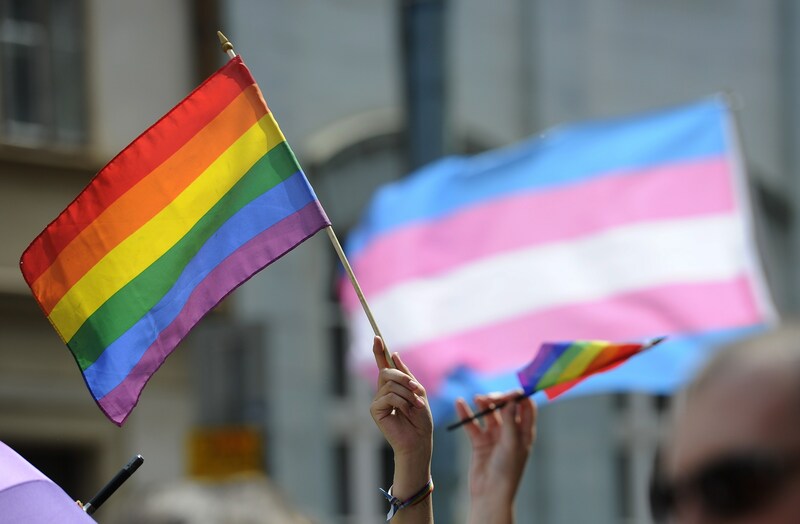 Transgender people still face some of the worst discrimination in the LGBTQ community, and trans women in particular are subject to some of the most intense violence. Transgender children are often the target of bullying and harassment, which may contribute to the community's staggeringly high suicide rate. Furthermore, this year is already shaping up to be one of the most dangerous years for LGBTQ (and especially trans) rights as the community faces backlash after the progress made in 2015. As always, visibility is key to understanding each other, and with all the obstacles facing transgender people, they more than deserve their own version of the Equality House. To contribute to the campaign, head over to the Transgender House fundraising page.